Listed below are Washers items for you to car boot sale online here that you will find available in United Kingdom. If you cannot find the Washers items that you are looking for in United Kingdom you can add your wanted item to let sellers contact you if they have any Washers items available for you. You can keep your contact information confidential. Enter only an email address in your car boot sale ad to receive offers into your account on our system. We will remind you automatically when new offers arrive for you. To offer your items for sale on this online car boot sale in United Kingdom simply click Post free ads for Washers link below or the button Post free ad in top right corner of this page. It is fast, easy and free to post an ad in 2lazy2boot. It will take you just few minutes to have the ad seen on our listings. You can then edit your ads any time by clicking “Member area" button on top right corner of this page. The Biffy attachable bidet cleans you better than any type of bidet on the market thanks to our patented spray nozzle design. You are in control of the spray nozzle positioning and pressure with the simple lever design. 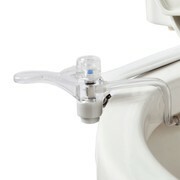 The Biffy Universal attachable bidet is economical, at only a fraction of the cost of a free standing bidet or a toilet seat bidet. 3 month old washer/dryer in new condition, hardly used. Has to be sold by 5th February! Only available from 3rd February. 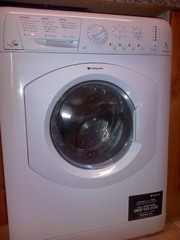 View proof of purchase in pictues..
Candy Washer Dryer for sale £300 Brand new. Un-used. Still in packaging. When paid for paid £409 including delivery. Pick up only. Cash on collection. 7.5kg Load. White. A energy. Please call 07973377537 for more information and to arrange collection. ST3 Stoke on Trent. Thank you.. Brand new Becko 8kg washing machine (serial numbers wmb81442lw)still in packaging brand new never ever been used cost £280 will accept £160 honestly first to see will buy contact me Dave on 07742769220 thanks. i have beko kitchen appliances for sale.5kg a cat 1000rmp washer, oven an grill electric oven an a beko tall fridge freeza.all of are in exelent condition used maybee 2ce. would like fast sale hence price.phone 07923559242 collection only.. Washing machine Hoover six express, good condition, working perfectly. 07542709656 Selling because moving..
wanted washing machine / fridge/sofas chairs/ bedroom furniture anything considered must be in good condition but cheap daughter setting up home. Well here you go. Good luck with your on line car boot sale in United Kingdom. We hope you have some success and find buyers/sellers that you are looking for in Washers . Don’ t forget to comment any successes in selling your Washers items in United Kingdom to our valuation window and report forum! We are sure you will find many people in United Kingdom looking for your Washers. United Kingdom car boot sale. Washers for sale ads on online car boot sale in United Kingdom, second hand Washers for sale in United Kingdom, Washers ads for free in United Kingdom, 2lazy2boot - United Kingdom car boot fairs.